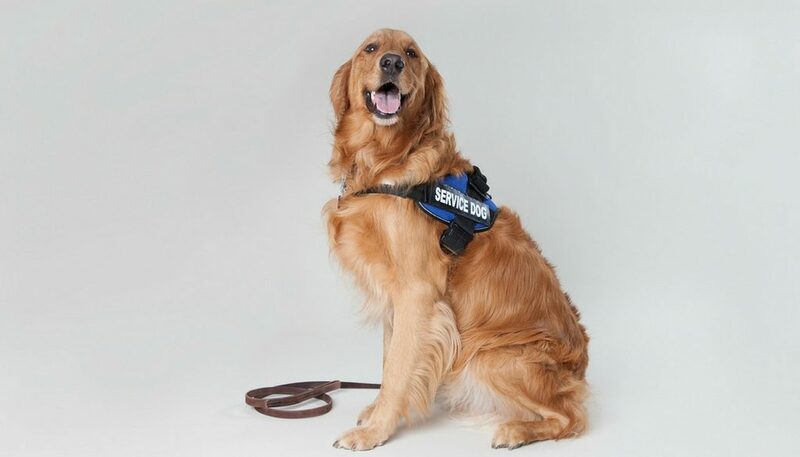 There are many types of service dogs, and each type provides tremendous benefit to the handler. But among service dogs, assistance dogs, guide dogs, therapy dogs and others, it becomes difficult to remember which dog does what. Service dogs are dogs who do work for people. This could include: police dogs, search and rescue K9s, assistance dogs and more. These dogs are protected under ADA. Most people think of assistance dogs when someone says service dog. The difference between an assistance dog and a service dog is that an assistance dog is trained to carry out a specific task (or tasks) that mitigates the disability of its handler; for example, a guide dog for some visually impaired. It is acceptable to use service dog and assistance dog interchangeably because an assistance dog does work for the handler; however, ‘assistance dog’ is the more accurate term. Emotional support dogs provide comfort and relief to handlers with psychiatric disabilities. These individuals can receive a ‘prescription’ from their doctor for an emotional support dog. These dogs are not trained in specific tasks, and are therefore not protected under the Americans with Disabilities Act. Emotional support dogs are, however, given access to flying in the cabin of an airplane via The Air Carrier Access Act and access to non–pet friendly housing via the Fair Housing Act. For individuals with severe psychiatric disabilities, many will choose to train their dog in a task to help subside their disability. This qualifies the dog as an assistance animal and is therefore protected under ADA. For example, some dogs can be trained to abate PTSD flashbacks by using ‘tap therapy,’ where the dog will lean into its handler and step on his or her foot to keep the handler from going into a flashback. A therapy dog is typically a well-behaved pet who has been trained to interact with a large variety of people to provide emotional therapy to them. This might include visitation and petting the dog, which Sterling says has been shown to lower stress hormone levels and increase the output of positive hormones in the brain. Therapy dogs can go where they are invited, for example: nursing homes, courtroom settings, hospitals and more. Therapy dogs can also help as an assistant to a human therapist. For example, someone re-learning to zip a zipper or button a button after an accident might find these tasks humiliating and frustrating. But if the person is practicing these tasks on a dog wearing a vest full of zippers and buttons, the positive reaction to the dog might balance out or subdue the frustration. What commitments should I consider before getting a working dog? Working dogs require a lot more planning. You have to make sure: do I have everything I need, and everything that my dog may need to go out on this outing or excursion? Do I have stuff to protect my dog from the heat or cold? Is the weather too severe for me to work my dog today? Some organizations, like Power Paws, require handlers to boot their dogs. They wear special shoes to protect their feet from hot pavement. There are also cooling blankets or jackets to help keep dogs cool in warm environments. You need treats, and you need a cleanup kit. Accidents happen. It’s also important to remember that you may get a lot of attention in public, especially people with invisible disabilities. People will wonder, “Why do you have a dog with you?” They might stare at you, talk about you or whisper about the dog. Finally, there’s the financial commitment. You have to provide high quality food and veterinary care. Some organizations are able to cover costs for the lifetime of the dog, but most organizations ask that the handler be capable of caring for his or her animal and its needs. What does a service animal cost? The cost of a service animals all depends on where you get your animal. Some organizations have the resources to give dogs to people in need completely free. Most service animal organizations require a fee to ensure the handler is committed. Some companies will charge thousands of dollars for dogs. Wherever you get your service animal, be sure to ask about the organization or company’s credibility and what the policy is if the service animal isn’t a good fit after a few weeks. What temperaments does a service dog need to have? The main behavioral trait a service dog needs to have is the desire to learn. Sterling says any breed can be a service dog, so long as the dog is willing to be trained. But each type of assistance dog needs special skills depending on the task it is trained to mitigate. For example, guide dogs need to possess what is called intelligent disobedience. This means the dog can selectively disobey the handler when it’s in the handler’s best interest. If a visually impaired handler tells the dog to guide him or her across the intersection, but the dog sees cars coming, the dog must disobey the command and stay put. This is very difficult for dogs, and many assistance dogs retire when they cannot learn this skill. Can I self-train my service dog? Yes. You do not have to have a certification from any organization to make your dog a service dog. The benefit of this lack of regulation is that people without the means to pay for training have the option to self train. They may even bond better with their dog because of it. The downside to this lack of regulation is it’s hard to know which organizations are reliable. Many organizations, like Power Paws, train their service dogs from birth to two years of age before setting the dog with a handler. However, the length of training varies based on organization or company. It’s important to also note that training is a lifelong process for service animals. Without practice, dogs may forget their skills. Handlers should be prepared to work with their dogs to sharpen skills for the duration of the dog’s life. Which service dog organizations are reliable? Due to lack of training regulation in the U.S., one way to identify credible service animal organizations is asking whether or not they are accredited through Assistance Dogs International. ADI sets very strict standards for the training of the dogs, how the dogs are raised, how organizations work with their clients, the care provided to the clients after that and more. Japan, the United Kingdom and parts of Canada only accept certified, registered service dogs — many of which are accredited through ADI. What are the benefits of a service dog? The greatest benefit, Sterling says, is the independence a service dog allows its handler. The ability to get through life without the help of a human caregiver is a huge stride toward independence. Additionally, service dogs can provide a feeling of protection for handlers. Sterling recalls a former client who said if he dropped his cell phone, he would wait for someone who looked trustworthy to pick it up and hope that person didn’t run off with it. Now, his dog can pick it up for him. Did you know that a pressure sore can form in as little as two hours? Pressure sores are a very serious problem with alarming statistics. We're here to help you not only navigate the world of pressure sores but to also help you know what causes pressure sores, how to prevent them, and more. Clinical Studies And Case Report Summaries.